Cattery listing of breeders around the world with chocolate and lilac kittens and cats organized alphabetically by cat breed to help you quickly find a cattery nearest you. Click the cattery name to access the breeders website where you can view more cat pictures, kittens for sale, cattery and contact information. 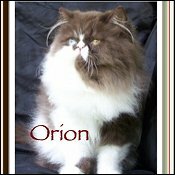 Locate cat breeders with British Shorthair, Exotic Shorthair, Munchkin, Ragdoll, and Siamese kittens for sale with possible cat colors, chocolate, lilac, chocolate tortoiseshell, lilac cream, chocolate & white bicolor, lilac & white bicolor, chocolate tabby, lilac tabby, chocolate lynx point, lilac lynx point, chocolate tortie point, lilac cream point, chocolate smoke, lilac smoke and more. 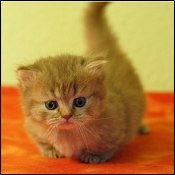 Cattery listing of British Shorthair breeders around the world organized alphabetically to help you quickly find a breeder nearest you. Click the cattery names below to access the breeders website where you can view more British Shorthair cat photos, chocolate and lilac British Shorthair kittens for sale, cattery and contact information. We are a small cageless cattery in Brooklyn, NY. European Grand Champion lines. Lilac, Chocolate, Blue, Cream, Colorpoints. Our kittens raised underfoot with a lot of love and attention. We ship both domestic and international. We breed in a full range of eight colours in both solid and bicolour from the popular blue to chocolate, lilac and the new cinnamon and fawn. Our British Shorthairs are healthy, happy and make wonderful companions. We breed British Shorthair cats with love and care in various colors including black, blue, red, cream, chocolate, lilac and blue cream. Our cats come in many patterns including bicolor, tricolor and solids. 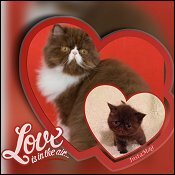 Cattery listing of Exotic Shorthair breeders around the world organized alphabetically to help you quickly find a breeder nearest you. 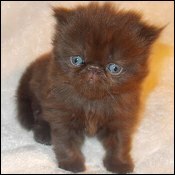 Click the cattery names below to access the breeders website where you can view more Exotic Shorthair cat photos, chocolate and lilac Exotic Shorthair kittens for sale, cattery and contact information. 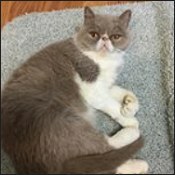 Exotic Shorthair Cattery Info - AISALIN is a small home cattery specializing in the Himalayan and colourpoint exotic all colours including chocolate and lilac. All kittens come with CFA and FIFe registration and vaccination records. Our kitties are raised in our home as part of our family. All our kittens are DNA PKD negative and immunized. We love chocolate, and we hope to have an exotic chocolate lynx point in the show hall someday. Thank you for your time. Persian Cattery Description - Burton's Persians is a small cattery located in the Texas Hill Country working with lynx points, tabbies and bicolors. 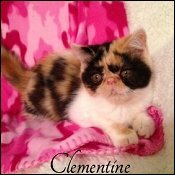 We raise Persians, Himalayans and Exotic Shorthairs with sweet personalities and loving temperaments. Kittens are CFA registered. We strive to raise healthy, loving kittens that uphold the breed's standards. Our kittens are bred from titled show pedigrees. Kittens are from PKD, FeLV and FIV negative parents. 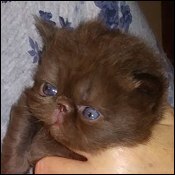 Exotic Shorthair Cattery Info - Catzr4me has several 1st generation chocolate carrier and visual Himmy, Persian and Exotic Short Haired kittens available now! Imported Lines! E-mail me at Catzr4me@aol.com for pedigree information and pictures. Where Cats are King (or Queen). 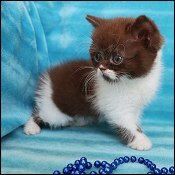 Catzr4me offers all colors Persian, Himalayan and Exotic cats and kittens, but we specialize in Chocolate and lilac. 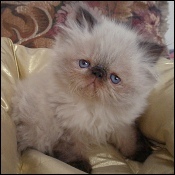 CatzR4me has been breeding Himalayans for over 15 years, Persians for 12 years and in 2005 we added Exotics. In spring of 2007 we had our first visual exotics born. This is JUST the beginning. PKD testing is done to all of our breeders. We have cats from all over the world and strive to have the highest quality and well socialized cats. Please visit our website and come back often to see our latest additions. 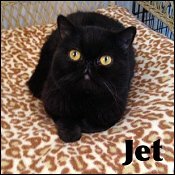 WE ARE A VERY SMALL CATTERY IN TEXAS SPECIALIZING IN PERSIANS, EXOTICS AND HIMALAYANS IN A VARIETY OF COLORS. WE ARE CAGE FREE AND OUR KITTENS ARE RAISED UNDERFOOT AND COME VERY PRE SPOILED. WE STRIVE FOR QUALITY OVER QUANTITY, WE ARE PKD, FIV, FeLV NEGATIVE. WE BREED FOR QUALITY, PERSONALITY AND SWEET TEMPERAMENTS. HOME OF THE FUZZY DIAMONDS, DIAMONDS ARE FOREVER & SO IS COMPANIONSHIP !! Exotic Cattery Description: Small cattery specializing in visuals & carriers of chocolate, lilac, solids, bicolor, calico, tabbies, Himalayan in both Persian, short & long hair exotic. Health & a well socialized sweet kitty is our goal above all else. Cattery Description - We have focused our past 27 years in business on pristine health so distinctive that it illuminates in the eyes of our kittens and within their elegant glossy coats. Our catterys motto is cleanliness is next to godliness. Exotic Cattery Description - CFA Registered 7 plus years. Beautiful Exotics and Himalayans raised in our cage free Louisiana home. 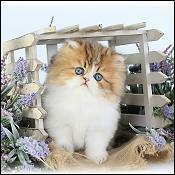 Dedicated in breeding and raising great quality and affordable, loving kittens. Our babies are spoiled and lavished with attention by our grandchildren. 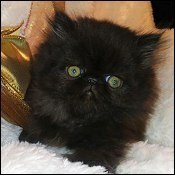 Extreme and Doll face kittens available. 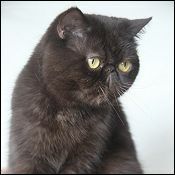 Exotic Shorthair Cattery Info - PINKATZ cattery is located in New Hampshire in the summer and Florida in the winter. We strive for Happy healthy social kittens of quality! We are A CFA ,TICA & CFF registered cattery! We specialize in Chocolate & Lilac but sometimes have other colors. 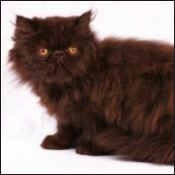 I am a small hobby owner of exotic short-haired Persians in Birmingham and aim for quality show cats. All my cats are Pkd/dna tested negative. We use VGL at the University of California, Davis, USA. They are very quick and priced reasonably also my cats are fiv/felv blood tested negative and vaccinated regular when needed. Glevum is a small cattery in Brisbane, Australia, specialising in breeding and showing quality Persian & Exotic cats and kittens in chocolate, lilac, solid, tabby, smoke & silver tabby. We are Günter and Claudia Blum from Waldkirch which is located in the beautiful Black Forest in Germany. 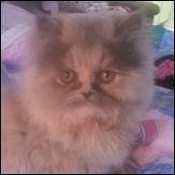 1995 we started breeding Persians in silver, golden and colorpoint. In 2002 we discovered our love for chocolates and lilacs. The tabby varieties with or without white are most interesting to us. 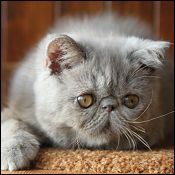 Small cageless cattery specialized for Exotic shorthair in all lilac varieties with & without white. PKD-DNA-negative. 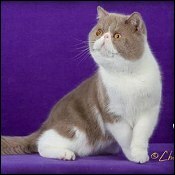 Chocolate, lilac as well as chocolate/lilac carriers PKD Negative, exotic shorthairs and longhairs. Pinkatz Exotics & Persians Cattery is located in New Hampshire. We breed for the better ment of the breed.We have some of the finest American & European lines in our breeding program.Breeding and showing our cats is our love and our hobby. First litter of carriers born, blue point male, seal point male, black male CPC and black female CPC. Expect to have first visuals later in 2007. 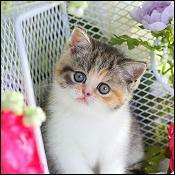 All breeding kitties are DNA PKD negative and have excellent pedigrees. So excited about adding these lovely colors. Always a health guarantee, not fond of shipping but will consider it depending on time element. 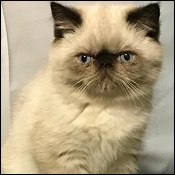 Small cattery with PKD DNA tested cats. 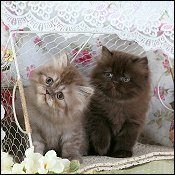 We are breeding chocolate and lilac self, Bi color, Van, Tabby, Silver-Tabby and Smoke. Serious inquiries are welcome. Cattery listing of Minuet breeders around the world organized alphabetically to help you quickly find a breeder nearest you. 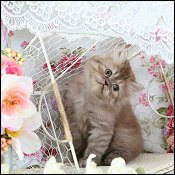 Click the cattery names below to access the breeders website where you can view more Minuet cat photos, chocolate and lilac Minuet kittens for sale, cattery and contact information. Cattery listing of Munchkin breeders around the world organized alphabetically to help you quickly find a breeder nearest you. Click the cattery names below to access the breeders website where you can view more Munchkin cat photos, chocolate and lilac Munchkin kittens for sale, cattery and contact information. 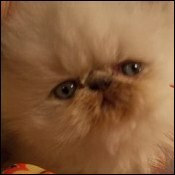 Small homebased cattery featuring several breeds (Munchkins, Napoleons, Siamese, Color Points, Persians, Himalayans). We breed for health, temperament, small sizes, and rare colors. Visit our site for pictures. 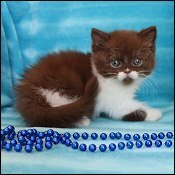 We have many chocolate and lilac kittens available. Our kittens are usually around 4-6 pounds full grown. Our munchkins are TICA registered. We are located in south central Tennessee. We do ship, weather permitting. We take pride in raising kittens in the home. MyMunchies is a Munchkin cattery in Australia, breeding healthy, happy Munchkin kittens. All babies are raised in-home and have awesome temperaments and type. We specialize in rare colors - mainly chocolate and lilacs. Shipping available interstate or internationally. Breeding beautiful chocolate colored family pets. Cattery description: Small cattery, with a focus on health. All cats have thorough health testing and are PKD, FIV and FeLV clear. We breed an array of colours, with a focus on chocolate and lilac, we breed colour points, minks and bicolours. All our kittens are vaccinated, microchipped and desexed. We breed both short and longhairs. Our cats are short in stature and sweet in personality. We are a small home based cattery specializing in chocolates, fawns, and lilacs. Our kittens are raised underfoot. Established 1999. Our kittens have shots, wormed, and vet checked before leaving. Shipping inside and outside U.S.A. We have Championship lines. We strive for healthy loving kittens, true to the breed. We offer a health guarantee. References on request. Cattery listing of Napoleon breeders around the world organized alphabetically to help you quickly find a breeder nearest you. 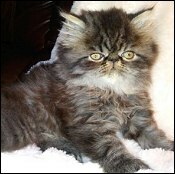 Click the cattery names below to access the breeders website where you can view more Napoleon cat photos, chocolate and lilac Napoleon kittens for sale, cattery and contact information. 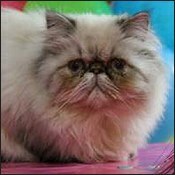 Napoleon Cattery Description - I am a small cageless CFA and TICA cattery located in Northeast, Florida. 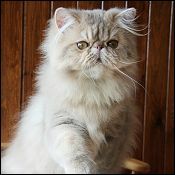 I breed Persians and Napoleons. All my kittens are hand raised. They come in all different colors: chocolate, lilac, blue, cream, red, black, tortie, chocolate tortie. All my cats and kittens are FIV, FeLV Negative. I breed for temperament and beautiful, healthy kittens. All my kittens come with a Florida Health Certificate. Shipping is always available. 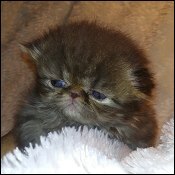 Napoleon Cat Colors - chocolate, lilac, blue, cream, red, black, tortie, chocolate tortie. Cattery listing of Ragdoll breeders around the world organized alphabetically to help you quickly find a breeder nearest you. Click the cattery names below to access the breeders website where you can view more Ragdoll cat photos, chocolate and lilac Ragdoll kittens for sale, cattery and contact information. Cattery Information - Angel Girls is located in the Washington, DC metro area; and we ship worldwide. Our lilac bicolors, Prince and Anastasia, won SECOND PLACE in TICA OVERALL for 2008 and 2007. 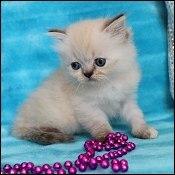 Please visit our website www.angelgirlragdolls.com for more information and to see many photos of our beautiful little angels. All SBT ONLY C.F.A. & T.I.C.A. Registered Ragdolls. Specializing in lighter Ragdoll Cats. 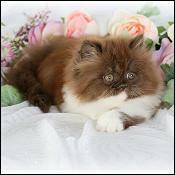 Angel Girls is dedicated to bringing back the recessive and dilute colors of lilac and chocolate in the Ragdoll Breed. We carefully consider our breeders and do not outcross with other cat breeds, therefore also maintaining the health, temperament, and overall beauty and tenderness of these elegance cats. All of our Angels are raised underfoot, and NOT caged. We offer a three year health guarantee, all shots, and show rights with all kittens. AngelGirls is one of only a few that DNA test for HCM and PKD, as well as confirm color and blood type through UC-Davis, as well as negative testing for FeLV, FIV, and FIP. Our Champion traditional and rare colored Ragdolls include DNA confirmed CHOCOLATES and LILACS." Please see website for NEW KITTENS. C.F.A. & T.I.C.A. 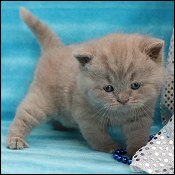 Registered -specializing in lighter Ragdoll Cats! 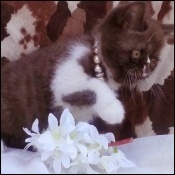 AngelGirls is dedicated to bringing back the recessive and dilute colors of lilac and chocolate in the Ragdoll Breed. We carefully consider our breeders and do not outcross with other cat breeds, therefore also maintaining the health, temperament, and overall beauty and tenderness of these elegance cats. All of our Angels are raised underfoot, and NOT caged. 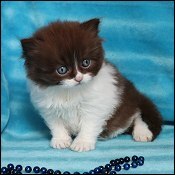 We are a closed cattery specializing in chocolate and li+lac Ragdolls from purely traditional lines. DNA verification of colour, PKD and HCM testing and intensive veterinary care and health checks are standard. We are willing and able to export throughout the world as New Zealand is free of Rabies. Our breeding stock is from the best lines of Ragdolls from Sweden, England and USA and our kittens are raised in our home, no cats are ever caged. Breeding only the best since 1991. Pioneer cattery in solid chocolate and solid lilac SBT lineage prior to DNA and solid whites from Josephine line. Previously known as Sentimental Ragdolls. Proven colors, GCH colors in show. Small focused quality not quantity! In home raised not a cattery out building. Its worth the wait for a Beautiful Ragdoll. Silky non matting coats. Solids and pointed rare colors our specialty. We are a small cattery with all colors of blues, seals, flames, creams, chocolates & lilacs in points, mitts, bicolors, lynxs & torties. The babies are raised underfoot & loved & petted everyday. The lilacs & chocolates have been my focus on developing their lines for showing. Small cattery in the NW of Spain. Written sales contract. Health guarantee. Ships worldwide. All colors and patterns. Producing lilac mink Ragdolls, lilac traditional and occasional chocolates. Selling for pet breeder and show. All other colors including flame and blues ect.. are available. Kittens come with a 2 year health contract. Breeders are scanned Negative for HCM. Wonderful Ragdolls in all colors including the wonderful true lilac and chocolate. Imported lines from US and Australia. Inquiries welcome. Breeding Ragdolls since 2002. Award winning seal, blue, chocolate and lilac Ragdolls. Breeder/Owner of TICA's Best Lilac Colorpoint for 2008. All kittens received 2 vaccinations, 5 years health guarantee and are spay/neutered (if sold as pet or show quality) prior to leaving the cattery. All kittens can be TICA registered. No additional costs for chocolate or lilac kittens. Home breeder and exhibitor of beautiful Ragdoll cats located in Maryland (just north of Washington, D.C.). Kittens available for pet and for show! All colors and patterns including chocolate. Dom Elzy is a small cageless home cattery located in Poland registered with Felis Polonia and FIFé, specializing in beautiful, healthy, well socialized Ragdolls. We breed chocolates and lilacs coming from the best lines. FIV, FeLV, HCM, bloodgroup-tested, colour DNA-confirmed. Show news on website. Dedicated Breeders of Quality Ragdolls ~ Specializing in Genuine Chocolate and Lilac ~ Our gorgeous ragdoll kittens are born and raised in our family home with much love and TLC. Please visit our website for more information. I raise beautiful Traditional, Chocolate/Lilac, Minks and Solids in my home. I focus on Health and Temperament above all. Our Ragdolls aren't just our breeders but our loving pets.We are in New Hampshire and located close to Massachusetts, Vermont, Maine New York and Rhode Island. In the cattery we have few females and one male who are carriers of chocolate. We also have one lilac male in breeding. All cats are PKD, FIV and FeLV tested. Also HCM and colour DNA tests have been done. Small hobby cattery. We specialize in lilac, chocolate Ragdolls in the pointed, solid and mink coloration. Once or twice a year we have lovely kittens available. Please visit my site. Hugs Ilona and my raggies! We're a small TICA cattery in Georgia dedicated to raising and producing healthy, loving and beautiful Ragdolls. Our babies are raised as part of the family and are never caged, but are always spoiled! Please visit our website for more information. We specialize in lilac, chocolate Ragdolls in the pointed, solid and mink coloration. Once or twice a year we have lovely kittens available. Please visit my site. Hugs Ilona and my raggies! Proudly breeding/showing Quality Ragdoll Cats and Kittens that TRULY do POSSESS UNIQUE TEMPERAMENT, SIZE and BEAUTY!In Traditional Colours and patterns, including the Lynx (tabby) pattern, from purely Foundation Ragdoll Bloodlines (with no outcrossing at all).We are also breeding the STUNNING CHOCOLATES and LILACS in all patterns.Our babies are all lovingly raised in our home, in their very own nursery.They are our children! New Zealand's leading Ragdoll cattery devoted to the rare lilac and chocolate. NZ is a Rabies free country with no quarantine restrictions. 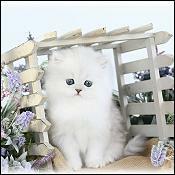 Lovely small cattery with international exports our specialty, with quality paramount. HCM PKD + FIV tested. Lenitas Ragdolls is a CFA registered cattery breeding since 2002. Our Chocolates and Lilacs and Chocolate Carriers are all DNA tested. All of our kitten are registered with papers, complete vaccinated, with microchip, vet checked, wormed and flea free, kitty litter trained and of course beautifully groomed. Small, home-based cattery, holistic protocol, health guarantee, DNA tested, natural food, vitamins, treats & litter. No cages and we do not ship kittens. All colors and patterns including traditional blue and seal, as well as, chocolate and lilac, flame, tortie & lynx. If you are willing to make a long-term commitment and make a cat a loving member of your family, please give us a call. OlympoDolls is located in Spain, and we ship worldwide. We have a very small chocolate/lilac program just from old ragdoll lines (no other breeds in the pedigree) to garatee the ragdoll look and temperament. We have mixed this very old ragdoll line with TICA Grand Champions lines to get the current beauty of the ragdoll. All our breeder cats are tested on HCM, PKD, CIN (scan and DNA), on FeLV, on FIV and on bloodgroup and color (DNA). We are a small cattery located in Czek Republic. Specializing in Chocolate and Lilac. I was the first person,with Lulu Rowley to import Ragdolls into England in 1981, consequently exporting to Europe. 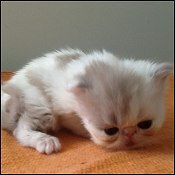 I now live in Spain, enjoying breeding all the new colors, red, cream, tortie, lilac and chocolate. Health is priority, followed by temperament, and then type. Sarais Ragdoll kittens are born in many different colors. We have lilac and carrier of chocolate in every litter. Our cats have a very gentle nice behavior, and are very close family members to us. Our home are 30 km east Gothenburg in Sweden. A small cattery in the northern part of Sweden. Specializing in lilacs and chocolates. A small cattery in Sweden near an airport. Lovely Ragdolls in lilac/chocolate and also carriers. All cats are raised in our house with the family. All cats are tested HCM and PKD/CIN. Kittens have their colors confirmed by DNA-tests. 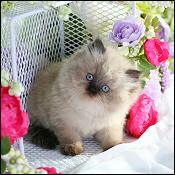 Family based breeder working on improving Chocolate and Lilac in the Ragdoll breed in Australia. All kittens are raised underfoot and well loved by children. Kittens available in Australia and internationally. Were are a small family cattery in Spain. We specialize in colors seal, blue, chocolate and lilac, in three paterns with the tabby variety. Not caged. Cats are tested: Colors-dna, FeLV-FIV, HCM-dna-eco, PKD-dna. We have a small TICA registered ragdoll cattery in Finland, where all our cats live as family members. Our cats are tested negative for felV, fiV, HCM1 & PKD. 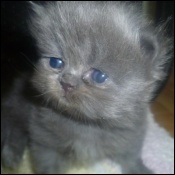 Kittens occasionally available in seal, blue, chocolate and lilac, also with lynx pattern. FIFé registration available upon request. 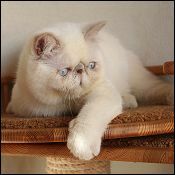 Snowdollz - small cattery in Sweden. Our cats are beloved family members and our kittens are HOME raised and socialized since birth with daily love and devotion. We specialize in lilac and chocolate in all variants, other colors are also available. We export worldwide. RaggaRoyale is a small Canadian cattery dedicated to Ragdoll Cats and kittens. Health and temperament are priority. Well socialized babies. 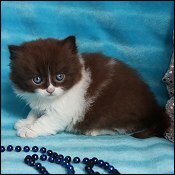 Chocolate carrier Blue and Seal Ragdoll kittens are available occasionally from excellent champion bloodlines. *Several quality teenagers available now* Visitors welcome. A family cattery with traditional ragdoll colours creating lilac and chocolate lines. Colours DNA-tested. All cats FeLv, FIV, HCM tested and PKD/RN ultra scanned. Small cattery in the Netherlands. Sweet kittens in all colors including lilac and chocolate. At S*Evenstars we are dedicated to breeding beautiful, healthy, lovable, Ragdolls. 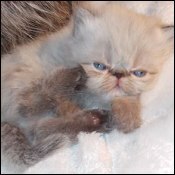 We specialize in the colors Seal, Blue, Chocolate and Lilac and Tabby/Lynx in the variants bicolor, mitted and colorpoint. Our kittens are born and raised inside our home, where every kitten gets individual love and devotion each day. We are a small amatorials breeding. Our Ragdolls comes from the best English and Americans lines. We have chosen to specialize in the colors lilac and chocolate beyond the classics and only colors to us seal and blue. We moreover specializes to in the Tabby variety. We hold very to the health and the beauty of our Ragdolls, for this we choose only searched lines. Kittens wonderfully sweet and soft, raised in our house. We are Small reg'd ragdoll Cattery located in Victoria, Australia. We are very strong with our ethics and commitment and are dedicated to breeding Ragdolls that are big and healthy along with having the friendly, loving, affectionate personalities and attributes known to the breed. Specializing in TRUE lilacs and chocolates. Kittens only available to approved homes only. We will ship worldwide. Closed cattery. Small family cattery in Madrid (Spain). Tested PKD DNA negative and HCM negative. Health guarantee. Only traditional colors. Pet, breeder and show quality kittens. Available to approved, loving and responsible homes. VON IMP is a small cattery in New Zealand. All the kittens are raised in our home and our cats are not caged. Tested for PKD, FeLV, FVI and HCM. New Zealand is rabies free. Lilacs and Chocolates are our passion. Colour DNA confirmed. Cattery listing of Siamese breeders around the world organized alphabetically to help you quickly find a breeder nearest you. Click the cattery names below to access the breeders website where you can view more Siamese cat photos, chocolate and lilac Siamese kittens for sale, cattery and contact information. Siamese Cattery Info - Siamese Royalty is small hobby cattery situated in Central-Southern Illinois. We specialize in high end Old Style Traditional Applehead Siamese and Balinese kittens in all four colors. CFF & CFA cattery registered. All of our cats have been tested negative for FIV and FelV. Additionally, our kittens leave home, altered, vaccinated, vet checked, blood tested, dewormed, and litter trained. They also come with a Health and Genetic guarantee and are properly socialized/raised underfoot. Shipping is available to approved homes. Our purebred Siamese have the look of historic old time Siamese with an aesthetic quality that is a refinement of beauty and a balance between extremes. All litters CFA registered. Please visit our website to view photos of our babies, read our kitten diaries, learn about us, review historic Siamese photos & articles, and more. Welcome to Chocolado Siamese. Our cattery was registered in 1992 and it is our goal to breed Siamese for excellent health, temperament and show quality. We have national winning lines, along with regional and breed winner lines. Pet cats/kittens are sold with altering agreements. Written sales contract with written health guarantee. FIV/FeLV negative, ringworm free. All cats/kittens are CFA registered. Streamlined Felines with Purrsonality. Registered breeder of Oriental and Siamese kittens. Specializing in Chocolate, Lilac, Cinnamon and Fawn tabby and lynx points. Old Style Siamese Cats and Kitten born at Evinea Cattery. Now showing in TICA as Thai, with old pedigrees and imports from Thailand. Purebred old-fashioned SIAMESE kittens, registered with ACA & TCA. We are motivated by the love of this breed and wish to help preserve them by raising healthy, loving, people-oriented cats. Please see my website for PRICE and current litters. Breeding seal and chocolate point Siamese. Health guarantee. CFA registered. We are a small family run cattery in Massachusetts specializing in chocolates, seals and lilac point Siamese. Are cats are registered with CFA and double registered with CFF. Grand champion lines with health guarantee. Breeding for health, temperament and beauty from award winning bloodlines since 1985. Oklahoma breeder of quality,healthy, and much loved,registered Traditional and Classic Siamese cats and kittens in the following colors only: chocolate point, lilac point, seal point, and blue points.